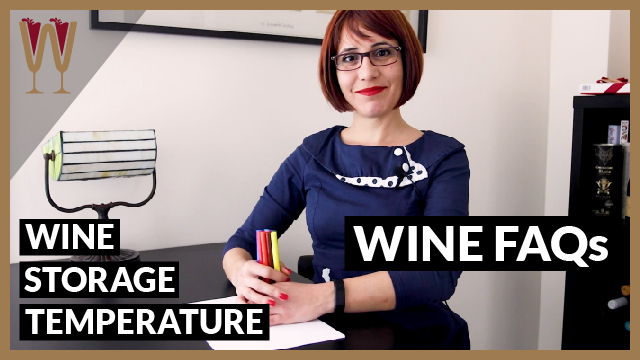 Learn everything you need to know about wine storage temperature in under 5 minutes! What’s the right temperature to store wine? Do you really need a wine fridge? Is your regular fridge a good enough solution? Hey Tasters! Ever wondered why wines need to be stored at a specific temperature? What is the ideal wine storage temperature? Why is it so important? Let me share with you all the interesting information I have found out about storing wine. The ideal temperature for storing most wine is 12 degrees Celsius. Exposure to temperatures higher than 24 degrees will cause wine to begin to oxidise. In fact, stored in an overly hot environment, a wine will become cooked, that is to say the fruit aromas will taste stewed and caramelised, not fresh. Wine certainly ages best in cool environments. However, extremes should be avoided. Storing wine at temperatures lower than 12 degrees Celsius will not necessarily harm the wine, but it will slow down the rate at which it matures. It will also put the cork and the glass bottle at risk, when the wine starts to warm up again and expand. But I guess the real question on everyone’s mind is, why then can’t I just put my wine in the fridge? So, is it true that the wine fridge is just a fridge but more expensive and with a glass door? I’m afraid the answer is ‘no’! There are, in fact, several differences between a wine fridge and a regular fridge, and they are not easy to dismiss. First of all, conventional refrigerators cool contents down too fast and keep them too cold, running the risk of ice forming inside the wine bottle and slowing down ageing. If the fridge is used to keep other food too, then the opening and closing of the fridge door means the temperature is also constantly fluctuating, which greatly disrupts the ageing process. Even more of a problem is the lack of humidity in standard refrigerators. This dry environment is likely to cause the cork in your bottle to dry out and the wine within may become oxidised, as a result. A dried cork also ceases to protect your wine from surrounding odours, of which there are many in a regular fridge. You want to pair your wine with Stilton cheese, but you do not want necessarily your wine smelling like Stilton cheese. Last but not least, are the vibrations which harm the wine. Unfortunately, regular refrigerators run on compressors, which cause them to vibrate almost constantly. It may be debatable whether a martini should be shaken or stirred but wine always wants peace and stillness. That’s because the organic components that make up the wine and the sediment settling in older bottles may be disturbed and never quite recover their original balance. And here’s an interesting little factoid for you. Although red wine on the whole ages better than white wine, due to its tannins, white wine is more robust to temperature fluctuations than red. So if you’re worried about chilling white wine in the fridge before serving it, fear not. Even if you play it hot or cold, your white wine will remain pretty chilled about it. So, Tasters, if you have any questions about wine storage, leave them in the comment section below. If you like this video, give it a thumbs up! Remember to share it with your friends, and make sure you hit the red button below to subscribe to the WineScribble Youtube Channel. I’ll see you on the next video!